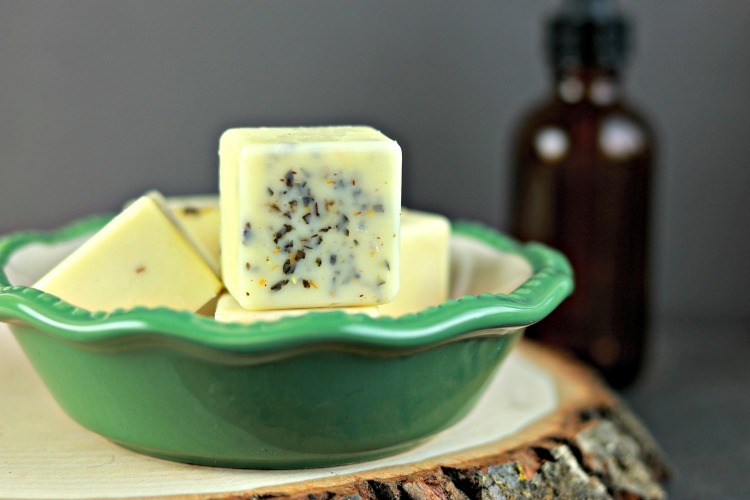 Do you want to learn how to make natural solid lotion bars for dry skin? 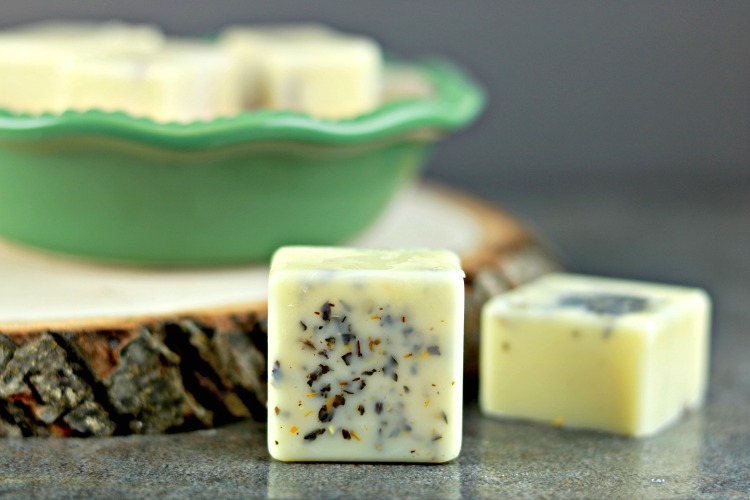 You’ll love our easy-to-follow DIY Lemon Basil Solid Lotion Bar recipe! There are some scent combinations that work so well together. One of those combinations, for me, is Lemon and Basil. It’s uplifting, cleansing and refreshing all at the same time. I like to make homemade hand soap using the scent combination sometimes. I also like to use that scent combination in my carpet deodorizer. So I decided to try the scent combination in a solid lotion bars recipe this time. It came out really nice and has me very eager for spring! 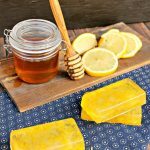 These DIY solid lotion bars have a very uplifting and cleansing fragrance that pairs nicely with the moisturizing qualities they offer for dry skin. 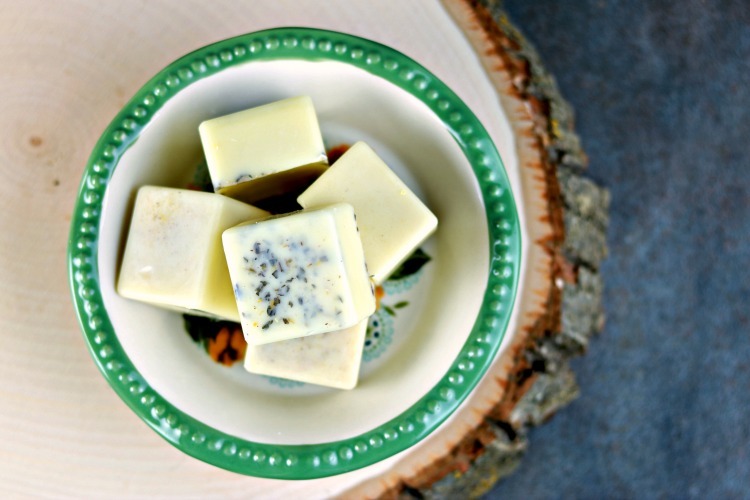 These homemade lotion bars are great to have on hand year round, and they make great gifts too! 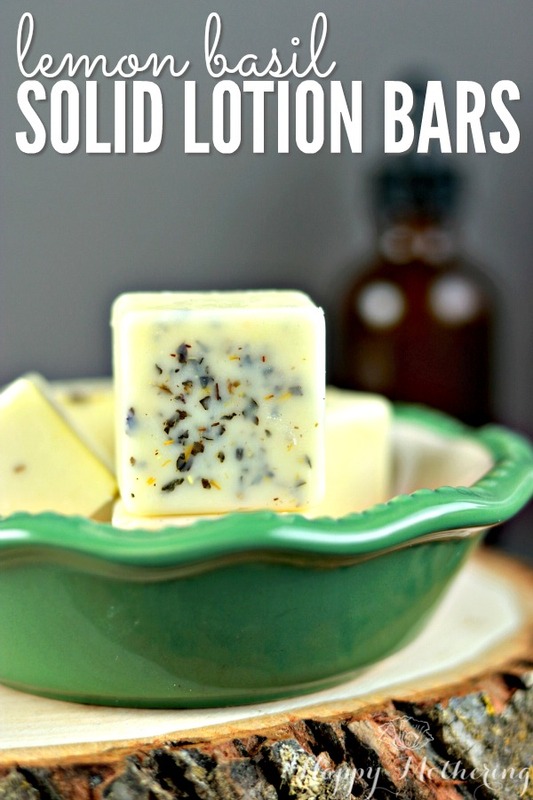 If you love making your own DIY beauty products, then you’ll love these lemon basil solid lotion bars. They’re also a simple project to start with if you’re new to homemade beauty recipes! 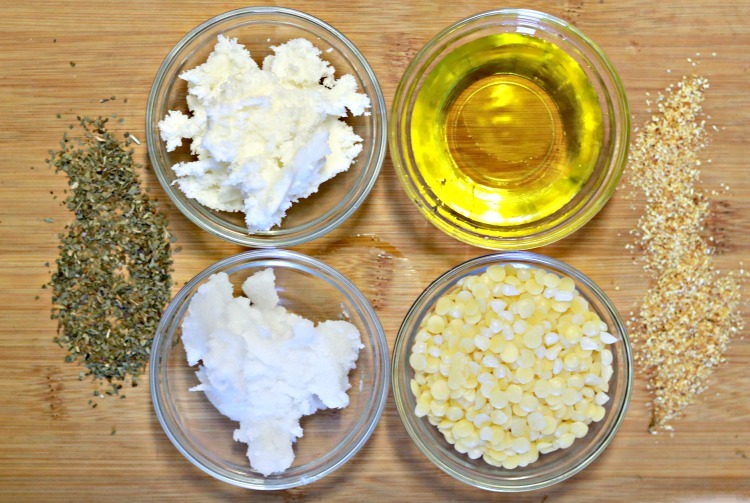 If you want to make solid lotion bars in a different scent, then be sure to grab my free guide to choosing the right essential oils for your homemade beauty products. Enjoy! Add the coconut oil, avocado oil, grapeseed oil, shea butter and beeswax pastilles to your double boiler, then heat over medium until all of the ingredients are melted. When everything is completely melted, carefully remove the pan from heat and stir to ensure everything is well combined. Allow the mixture to cool slightly before adding the essential oils so they don’t burn off. 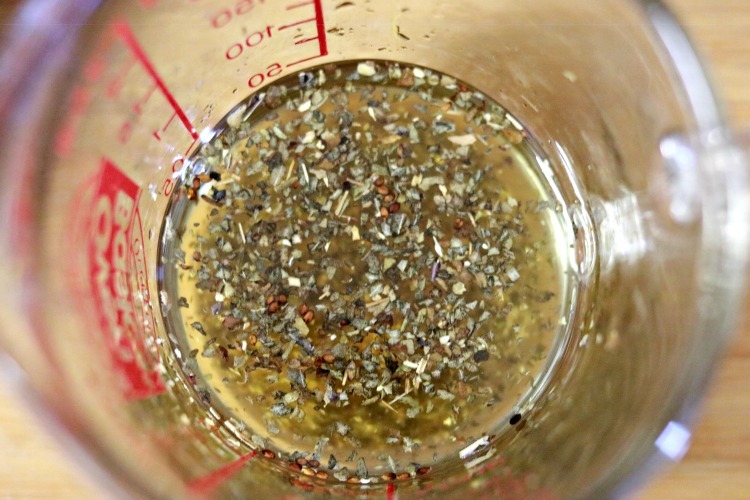 Next, add the herbs to the mixture and stir until well combined. 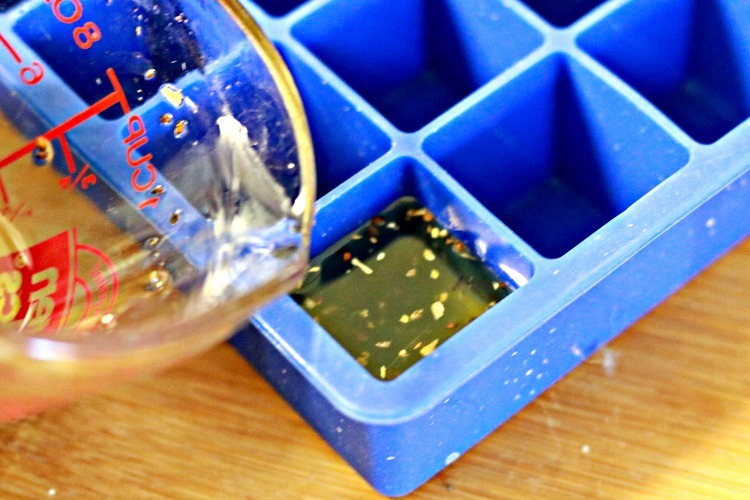 Once everything is well combined, quickly pour into your silicone mold. Allow the lotion bars to sit for an hour or until they are completely cooled before removing from the mold. Store in an airtight container until you’re ready to use them. What other scents do you like to add to solid lotion bars? What a unique idea! I love my herbs and so I am intrigued. I have never heard of lotion bars before. I wonder if using more herbs could possibly take the place of using essential oils. 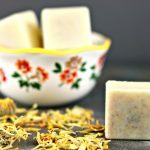 Chrystal, Your Lemon Basil solid lotion bars are featured on this weeks OVER THE MOON LINK PARTY which is going on now. I’d love for you to stop by and take a look and link up again! I have never tried making soup. Your recipe looks doable! Thanks for sharing at Party in Your PJs. This is such a great recipe and project! I will be featuring you tomorrow at Thursday Favorite Things! With all those fabulous ingredients Chrystal, the lotion bars must be so lovely to use. Thank you for sharing the DIY recipe this week at Create, Bake, Grow & Gather on Shabby Art Boutique. I’m delighted to be featuring this recipe at tomorrow’s party and pinning too! I can’t wait to try this recipe. I like the idea of making it a bar. I’ve mixed mine lotions to be more creamy. Pinned and sharing. Have a great week, and see you again soon. Chrystal, I’ll be sharing your lotion bars on my Merry Monday roundup tomorrow – be sure to stop by and check it out! Is there an alternative to coconut oil? I am highly allergic and unfortunately this oil seems to be a stable in all the soap and lotion recipes I see lately (and far too many desserts). You can use another oil of your choice. The beeswax should keep them firm. If they’re not firm enough, you can keep them in the fridge.